While streaming live on Justin TV I tried to do a tutorial by Ken Hultgren from his book The Art of Animal Drawing. 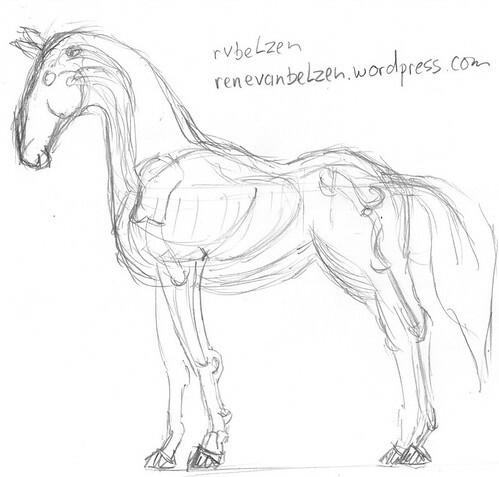 While his sketches of horses are excellent, mine are less so. You can watch the recorded video on Justin TV or YouTube.